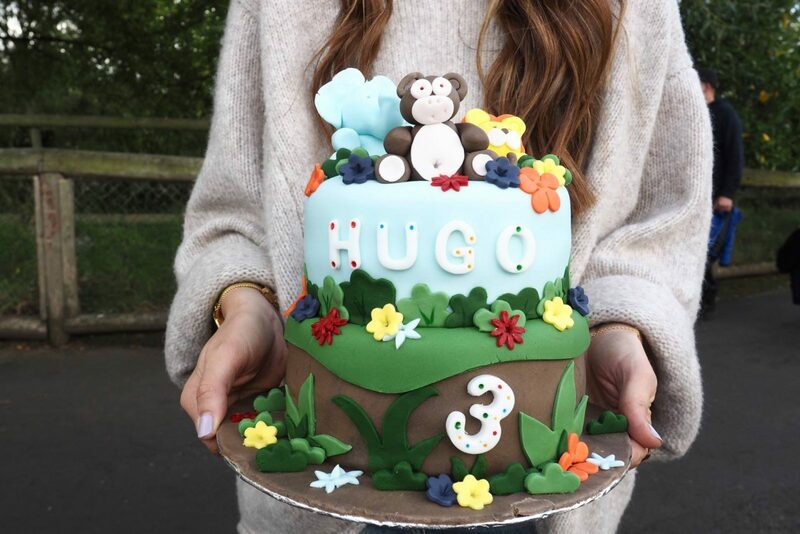 Hugo has been three for nearly two months now and time has gotten away from me to the point that I’ve only just written up this post… I feel awful… but better late than never hey. 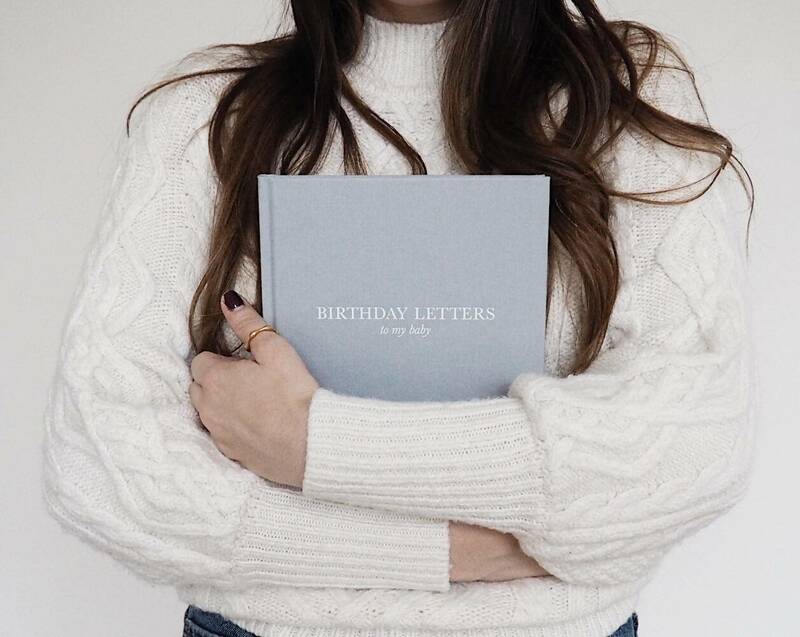 I recently received two books; one for Hugo and one for Remy called ‘Birthday Letters to my Baby‘. 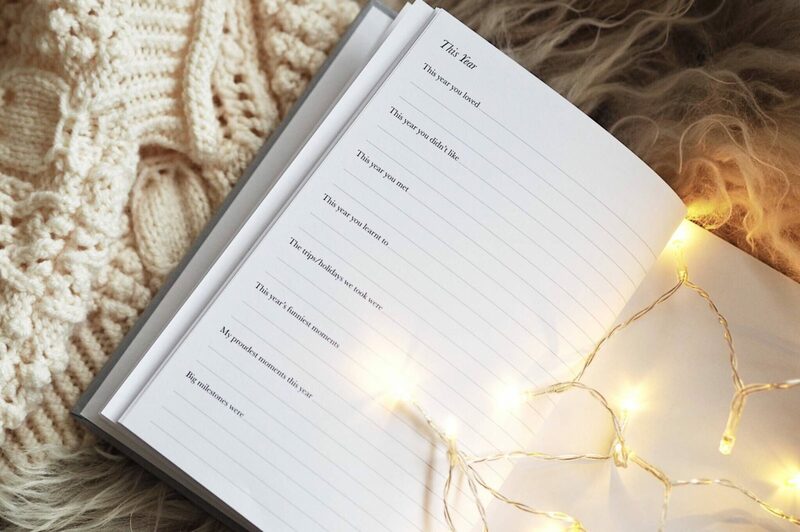 They’re beautiful books that allow parents space to put pen to paper and build up a collection of sentimental letters that you can write to your child. All kept together in one book to create a story of your child’s life that they get to keep and read forever. 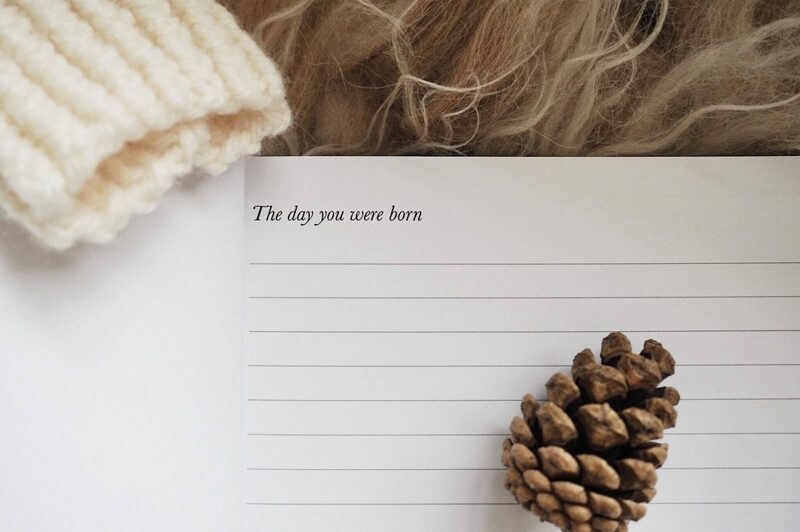 In this digital age, it’s actually a candid reminder just how lovely it is to put words on paper and create tangible mementos. They’re made by my super lovely friend Emily Rollings who’s a mother of two and set up this wonderful business with her husband as a way of being able to spend more time with her children. They really are such a lovely gift to give someone. 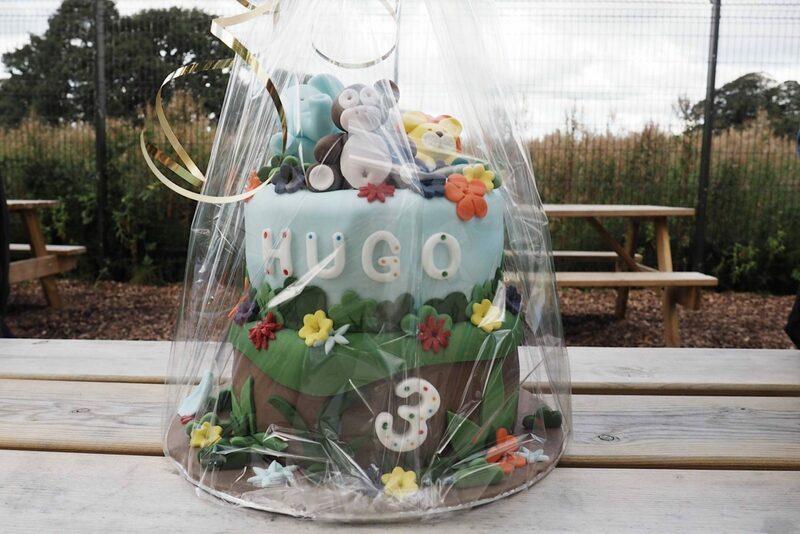 Three whole years of you, my beautiful boy Hugo. It took over 36 hours of labour, three nights of no sleep, an epidural at 9cm dilated to try and fathom some energy to push this bouncing big boy out of me, at 4am I finally did it…all 9lb and 15 oz of you. The best reward I could have ever received. My eyes are filling up now as my heart is reminded of our first initial embrace, the world became hazy but you my darling boy were as clear as day. The glee on your little proud face and mine too! Lining up your animals or putting them in circles and not leaving until the job is done. Woe to those who try to take you away mid mission. Remember my darling that I saw you. Never forget darling that I see you! The beautiful, the bad and the ugly but all of it I wouldn’t change. Everything you process through is a part of what makes you you, it’s a part of what makes me me. The beach trip was two months prior to this scenario and his older cousins were crabbing on the beach. I was actually amazed at his knowledge, confirmation for sure that Hugo I know is going to be more intelligent than his mama one day! A brain like a sponge where mine is more like a sieve. There is so much I could write, so many wonderful memories, collections of time that I wish I could pocket and revisit any time I want. I feel so blessed that I’ve been able to collect all these wonderful memories of you and with you but nothing excites me more than what the future has in-store. Now seeing you with your little brother Remy, I can barely handle how much love I feel when I see you both together. You’ve strengthened me, you’ve tested me, you’ve helped me grow in patience, perseverance and to forgive and forget quickly. You’ve made me love like I never loved before, hugged tighter than I’ve ever hugged before and laugh harder than I’ve ever laughed before. You remind me everyday to be present in the moment – thank you! There’s a part of me that so wishes that you could stay little forever and be that baby I could hold so easily in my arms. But on the other hand, I am so excited for our relationship to grow and develop and to continue building our pockets of memories together. 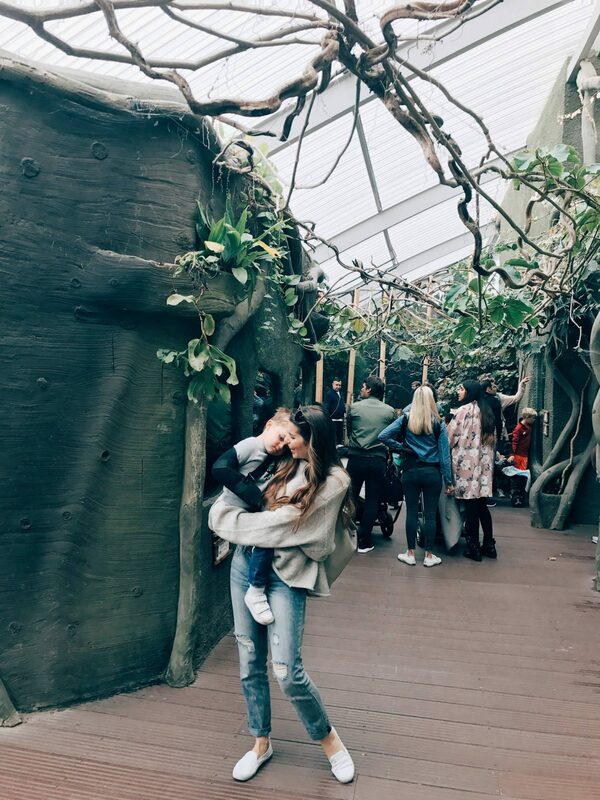 So, on Hugo’s 3rd birthday we enjoyed a day at Chester Zoo. 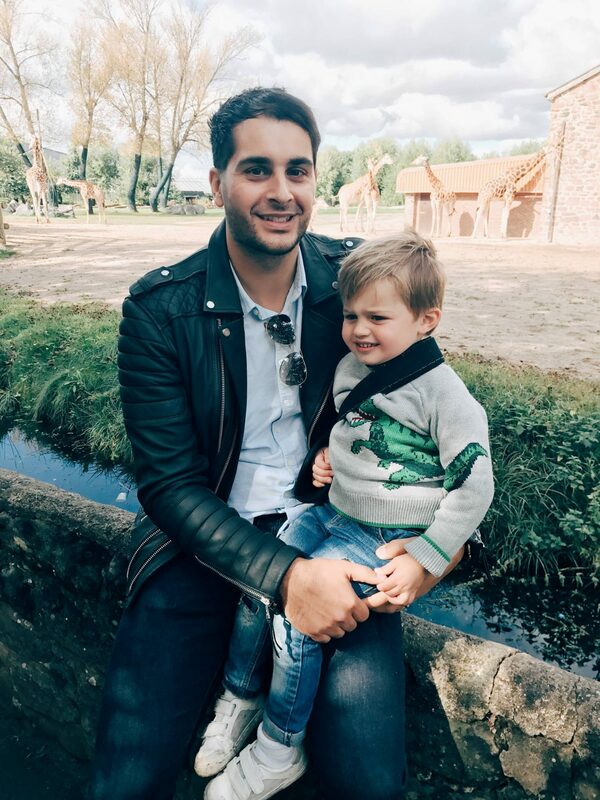 You can see on the picture above that Hugo had to still wear his sling on his birthday bless him. He broke his collar bone after losing his footing coming off his chair a couple of weeks before his birthday but it’s all healed really well now thank goodness, kids are so resilient aren’t they! 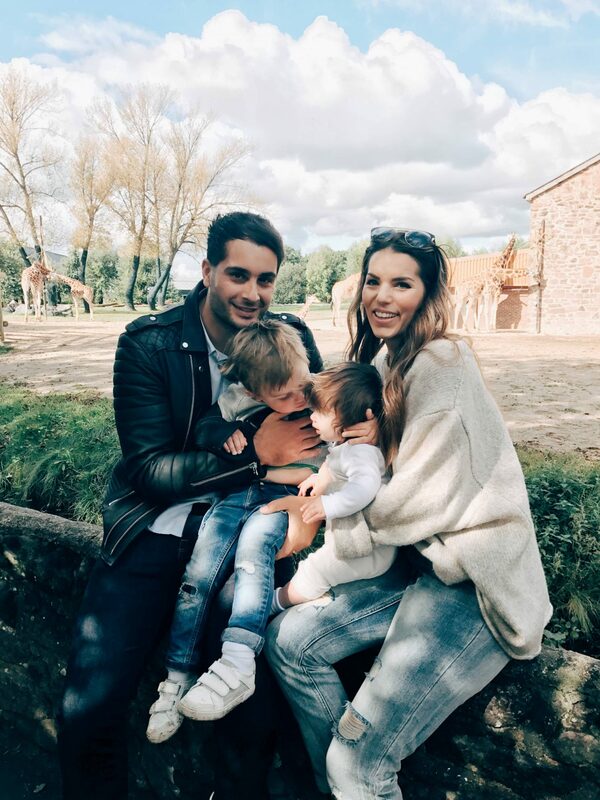 You may already be aware of two BIG Hugo traits… 1) he loves spending time with his family and all his cousins, and 2) he is animal obsessed! 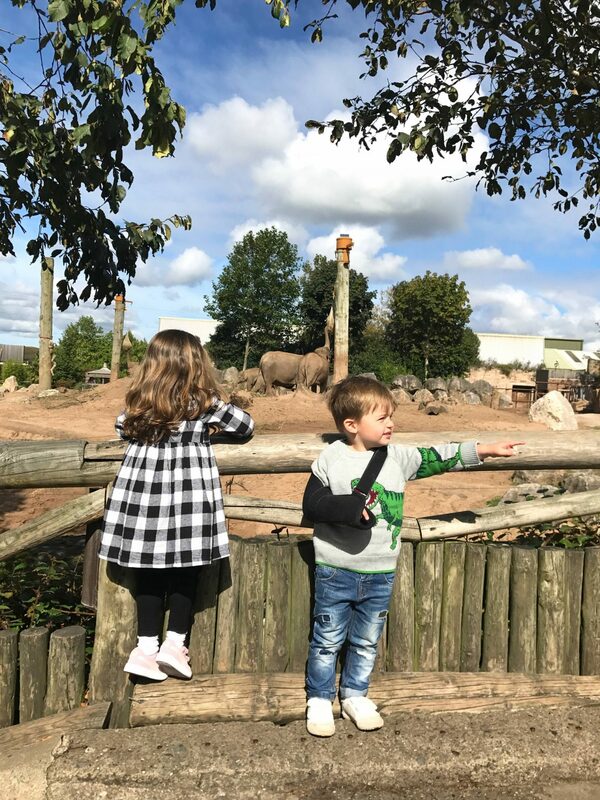 So having a day at Chester Zoo with all his family and a few friends was the most perfect birthday he could have asked for. My lovely mother-in-law Victoria sorted out his animal safari cake from a lovely lady called Gemma, it was every bit as delicious as it was incredible to look at too! 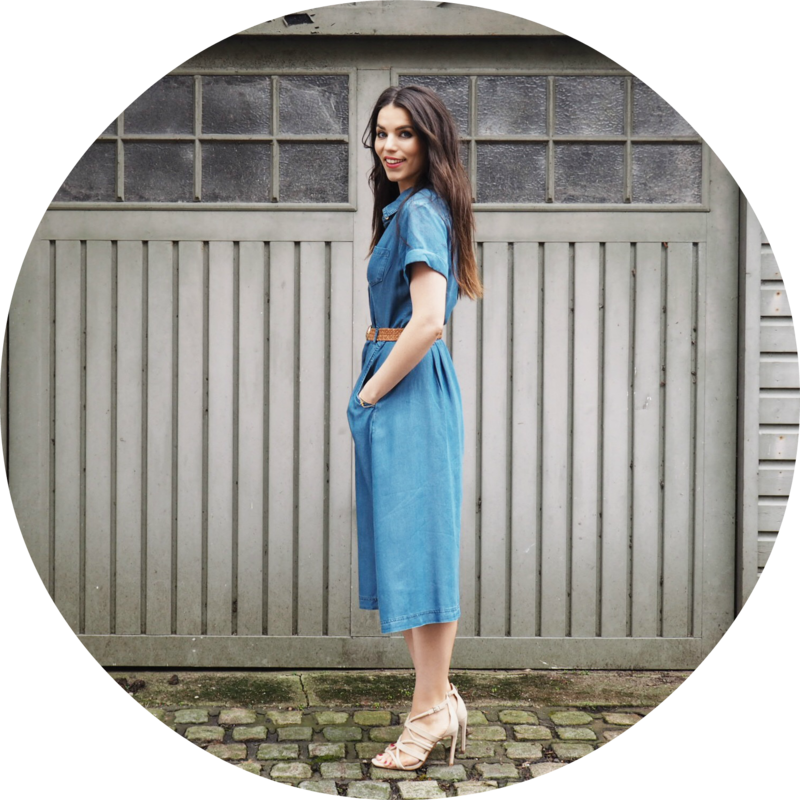 She also made it gluten-free as myself, my sister and mother-in-law all have Coeliacs Disease – fancy that hey! At least wherever I go there’s gluten free food hehe. You can find her page HERE and she lives in the South Manchester, Cheshire area. Here are a few pics of this wonderful celebration, some taken quickly on iPhone so apologies if the quality isn’t the best. 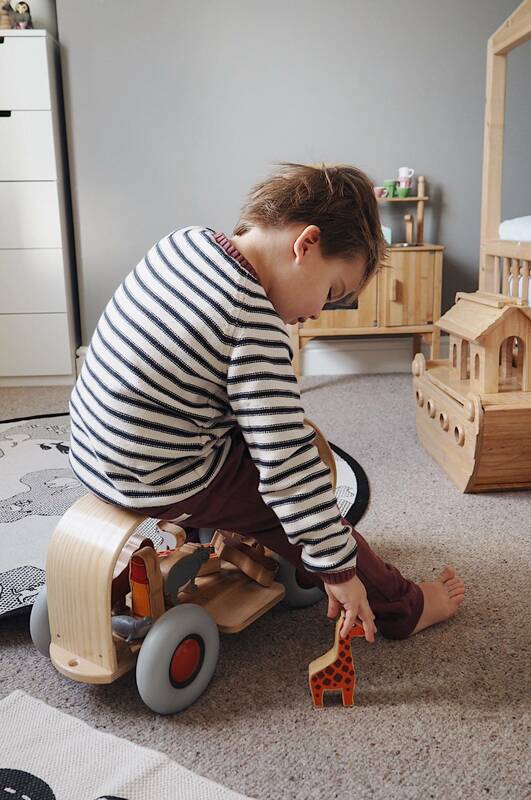 We gave Hugo this wonderful *ride-on car from Oskoe because what little boy doesn’t like ride-on toys? 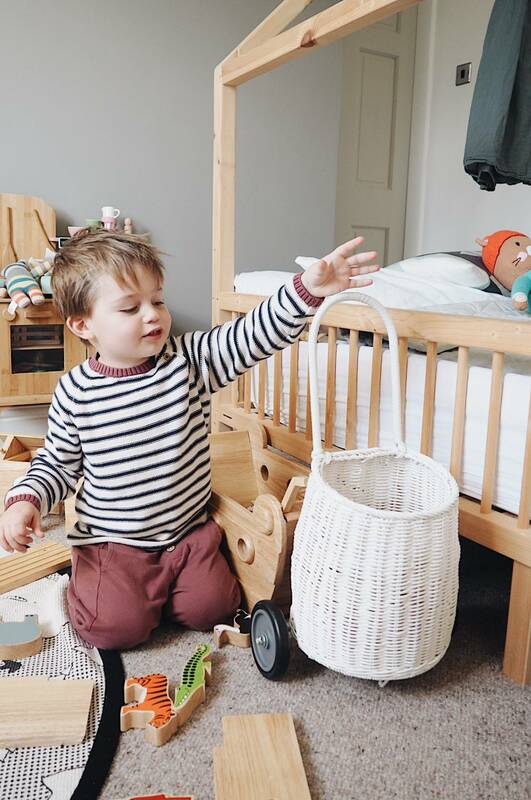 I was quite particular though in what ride-on car we would get him because it needed to be something he would love first and foremost but also lovely to look at too as it would live in his beautiful new room. 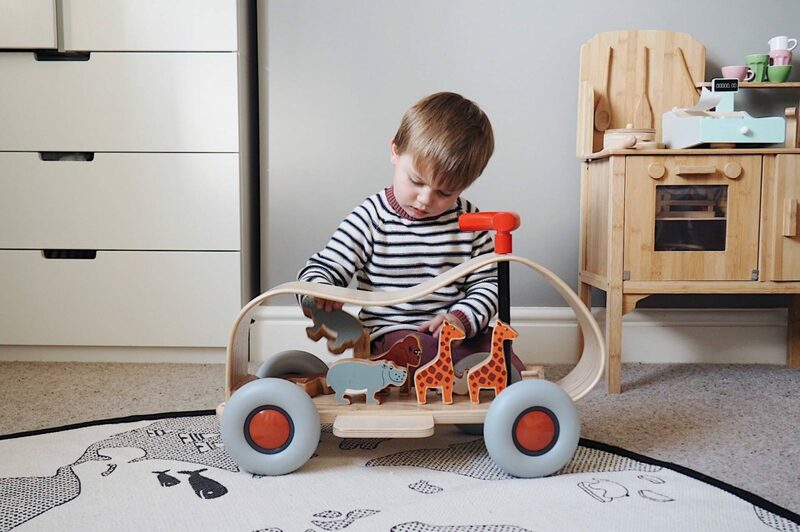 This was perfect as it compliments his bedroom perfectly, it’s German design so you know it’s made to last and the rubber wheels mean no noise – yay!! For Christmas I think we’ll buy him the trailer part so he can pop that on the back of the car and give his animals a lift. Georgie is the owner of Oskoe and has done amazing building up her small business so that she too can spend more time with her children. 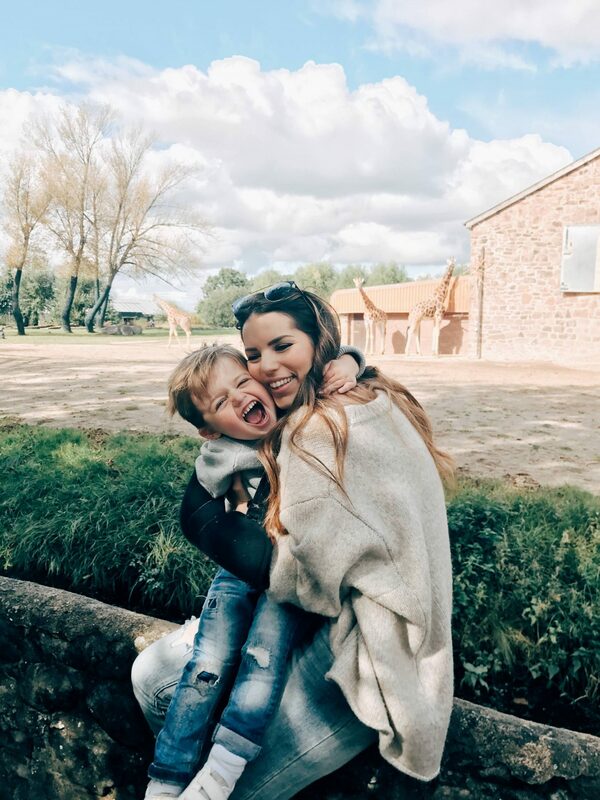 You need to check out her Christmas section – so many cute and beautiful things if you have children!! 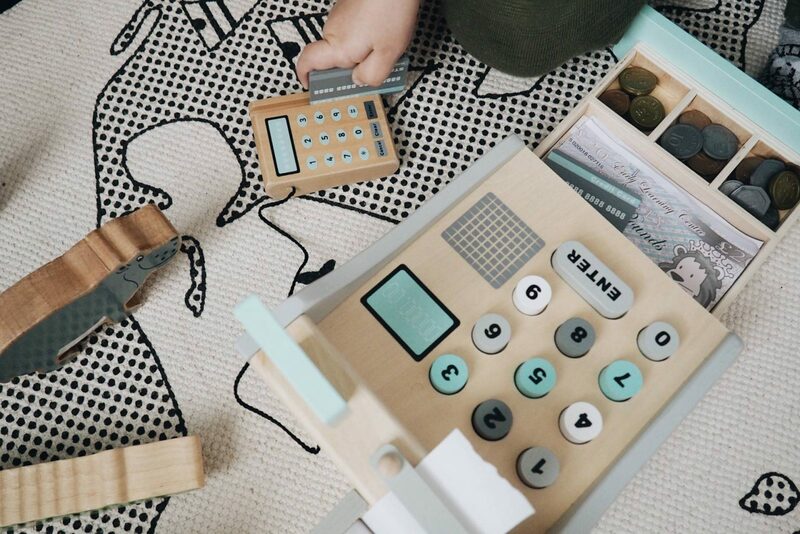 We also gave him a gorgeous wooden *Scandinavian design cash register with some *wooden fruit and veg that he can chop with a wooden knife. 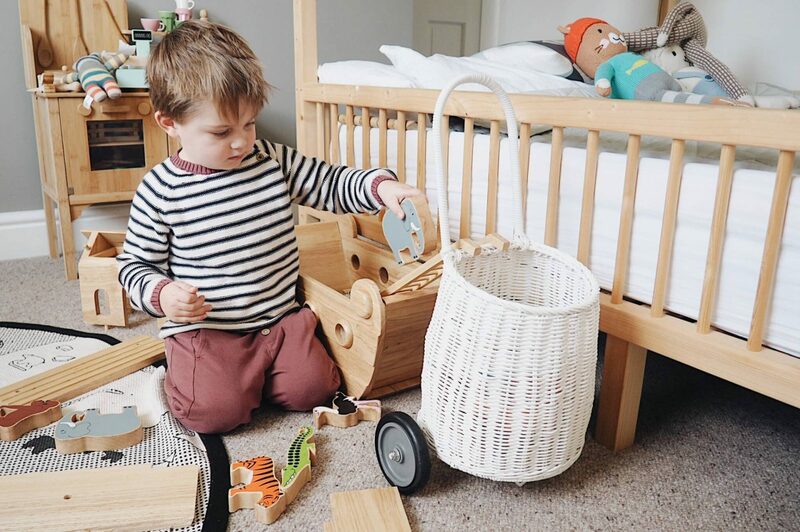 I adore beautiful-looking wooden toys – especially for in his room. 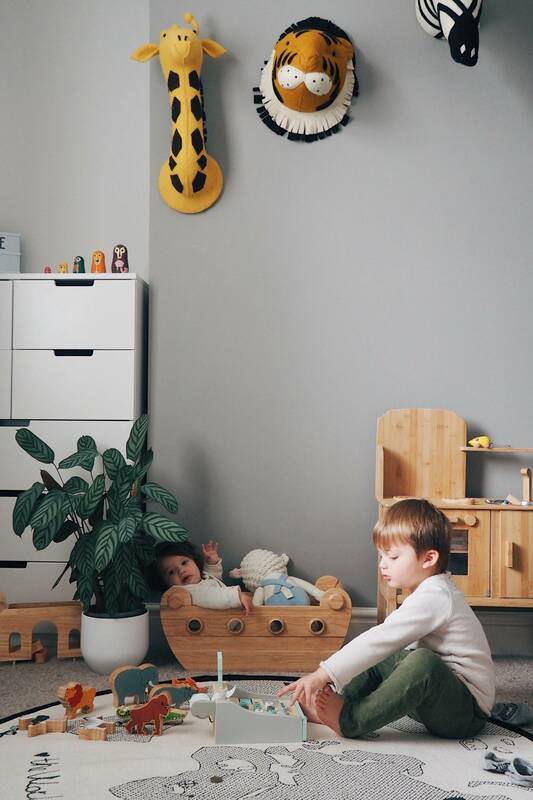 Rather than looking a little garish they add character and playfulness to his bedroom and they’re toys that are actually nice to look at. 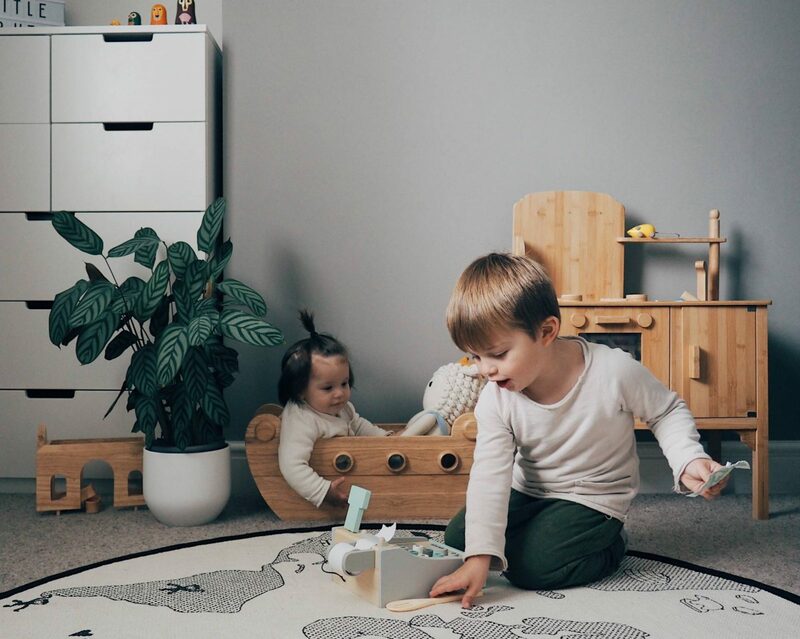 If you haven’t already you need to check out Scandibørn, Grace offers SO MANY beautiful toys, decor, everything really, I’m so obsessed with her shop and she is THE most lovely lady too! 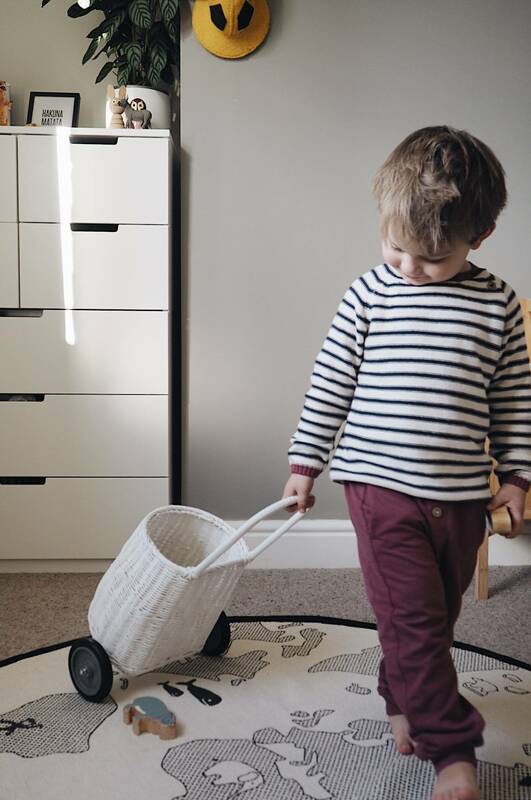 The last main present we gave him was a cute *wheeled basket called a ‘Luggy’ again from Scandibørn because he LOVES transporting things from one room to another, it’s fab for playing shopkeepers and we even took it when conker collecting too hehe! 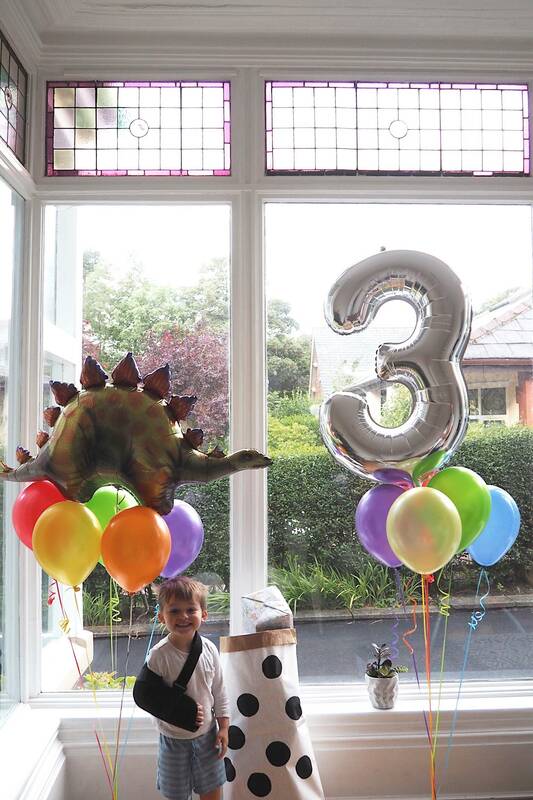 Finally, from us, as little extras we bought him other bits like clothes, jigsaws and treats and lets just say he was a very lucky boy on his birthday!! 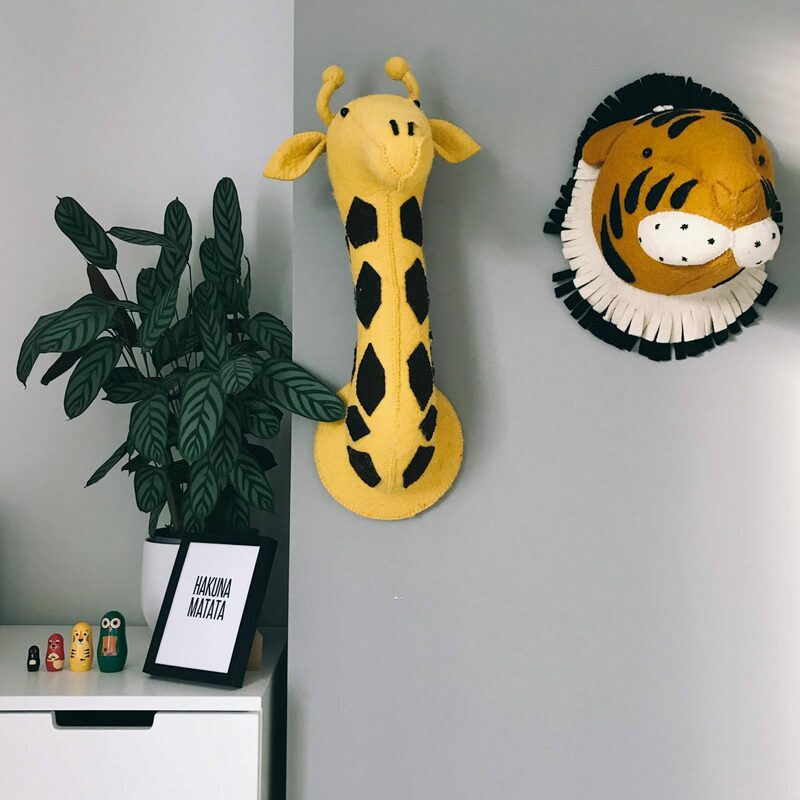 I asked Hugo’s Uncles and Aunties to club together and buy him his favourite animal heads to put on his bedroom wall, we also bought him one to complete the set 🙂 . They are quite expensive but they look absolutely amazing when up and totally make his bedroom come alive! We purchased all of ours from Diddle Tinkers and chose the lion, zebra, elephant, giraffe and tiger, so Hugo basically lives in the safari now haha. 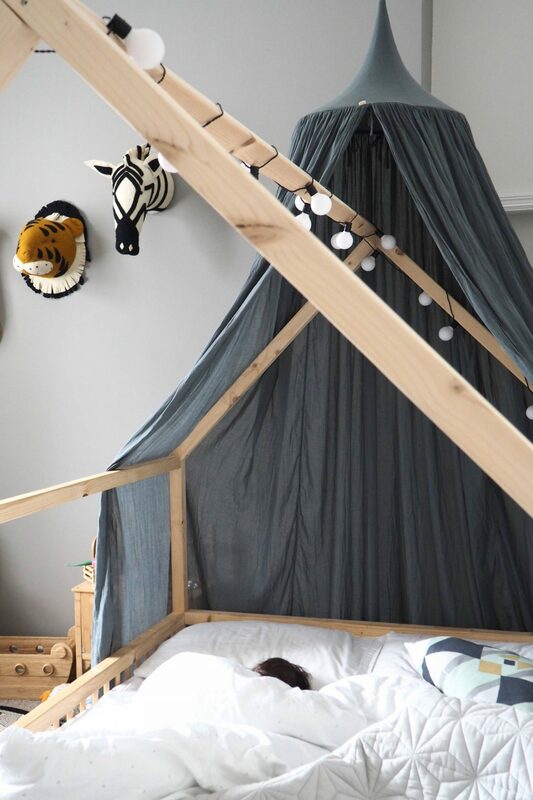 I’m going to be writing up about his bedroom very soon as it’s honestly looking so lovely. 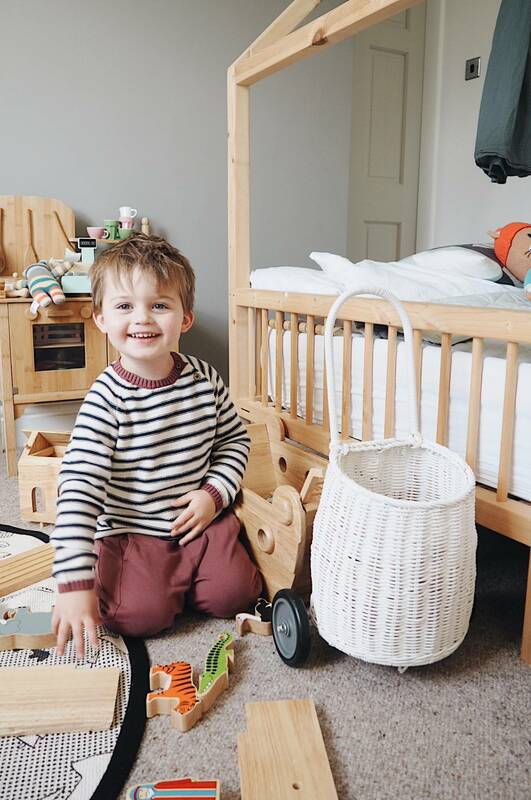 We’re not finished with his room yet but we’re slowly getting there and I’m so pleased he absolutely adores playing in there, it was honestly the best transition we could have made. 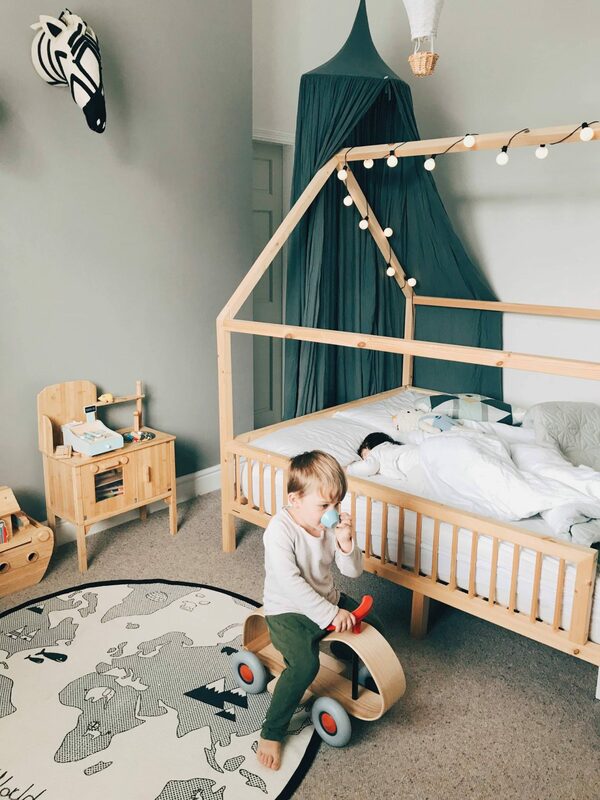 I could have only have dreamed of a room like his when I was little!